Not everyone is lucky enough to live in large house. Therefore, how to make full use of the limited space to store as much items as possible is the thing people often try to do. 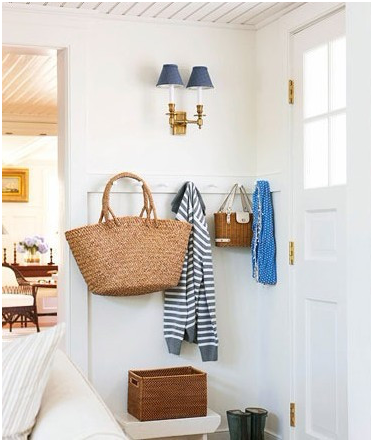 I will share with you some DIY wall storage ideas in the following article. It is mainly focus on how to expand storage space on the wall. 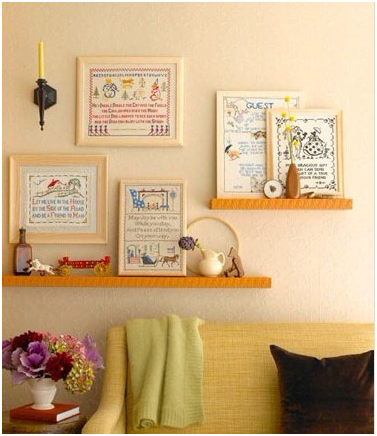 Wall shelf is the most common storage tools in our daily life. The simple designed wooden wall shelves in the picture combine storage and exhibition function together. They are installed optionally on the wall. Choose items that consistent with home decoration style to place on the shelves. Do not you think it is perfect decoration for your home? Here are wall decoration ideas recommend for parents. Do you have screen in your home? If you are interested in having screen as partition for your home, then you should read this. Home owners can hang photos or small decorative paintings on the screen to highlight your home decoration. When the screen is not used as partition, you can have it as background wall. Usually the vestibule is small for most family. But we have many things to store in it. If home owners want to expand the space in vestibule, wall is good place to start. Hook, coat stand is perfect choice. The storage shelf under the hook and coat stand can store some frequently-used odds and ends. If you are careful enough and enthusiastic to life, you always can find way to expand your space. Are you live in duplex apartment? Have you ever consider the space bellow the stair and wall beside the stair? The space under stair is often in irregular shape. 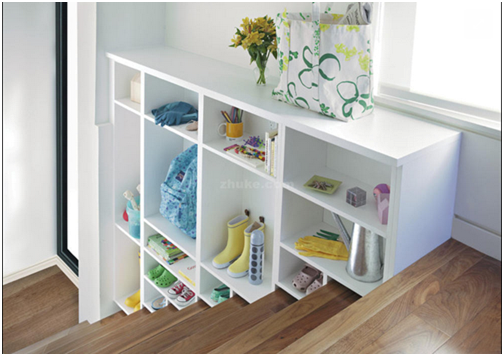 You can customize storage cabinet, bookcase, kid’s playroom under it. Installing pulley and sliding track on the storage box at the bottom can add score on the convenience of it. If the space beside the stair is capacious, home owner also can consider to install cabinet to place umbrella, shoes, books or turn it directly into show cabinet. You can seat on the stair at a sunny afternoon and find an interesting book from the cabinet. It is cozy, right? I have to admit that I am a careless person. I often forget where the item is placed when I need. I store all the frequently used items in this conspicuous place. When I go down the stairs, I can easily find the thing I need. Want to keep your bathroom organized? Is your wash stand occupied by various washing articles, toothpaste, tooth brush, water cup, facial cleanser, body wash, soap, shaving cream? Have you considered making use of the wall space above and below wash stand to expand your bathroom storage? Mirror is the must-have item above wash stand. Therefore wall cabinet with mirror on the cabinet door is selected for the wall above wash stand. The cabinet under the wash stand has shelf board to separate cabinet space into several individual areas to store different items.